Soo Beaute Masks – PINKKLOVER. I never tried this brand before and it caught my interest because they use oriental herbs like ginseng and even bee venom! So I had to try! 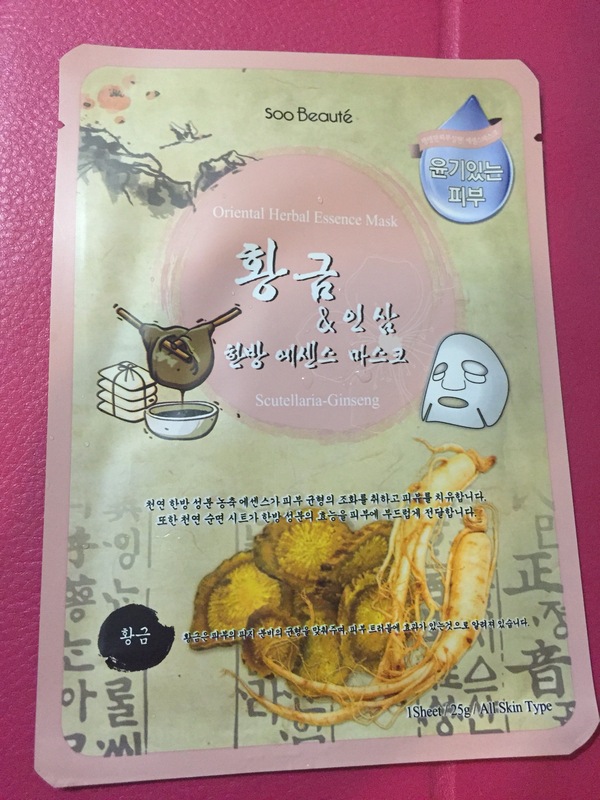 These masks are all made from Korea so I trust it (to me, SK is where the best beauty products come from). I bought all these masks from SaSa during my stay in Singapore as my face wasn’t in a good shape as I think the weather made me get quite a bit of pimples 😿😿. So, let’s start with the mask fit. This mask fits my face well (square face) which I’m quite happy about. I also thought that it was cute that the mask can cover our eyes as I’ve never seen that before. I’ve already talked about the smell so..on to whether my skin likes it or not. Verdict: After having the mask on for around 25mins, I took it off and splashed my face with cold water. During this process, my skin felt noticeably softer and smooth! YAY! I’m not sure whether because I’m back in Sydney but I feel like the redness on my face has subsided a bit a few days later. I’ll give it a 9/10. 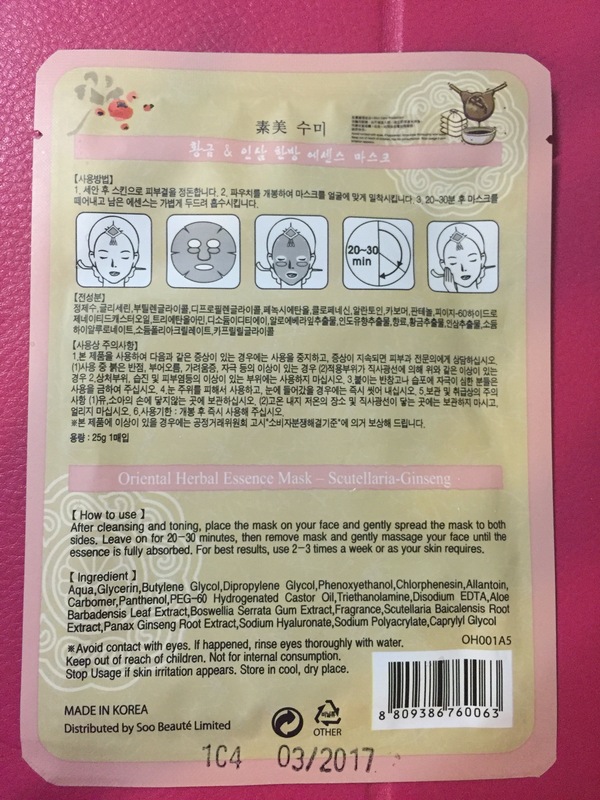 Similarly to the previous mask I tried in this line, the smell is so healthy. 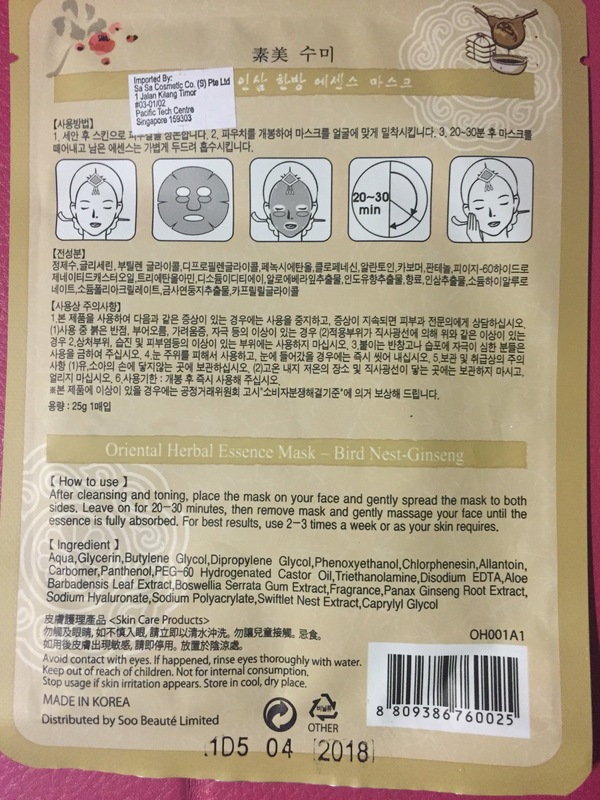 I find that there’s not much difference in terms of smell between this mask and the previous mask. Anyways, since the weather in Australia has been quite hot, the redness on my face (cheek area) has been prominent and I’ve been developing quite a bit of pimples. So, after cleansing my face thoroughly, I put on this mask for 25mins. As soon as I took it off, I can instantly see that the redness has cooled down a lot and my pores have gotten smaller. The next day, my face felt smoother and more refreshed. YAY! 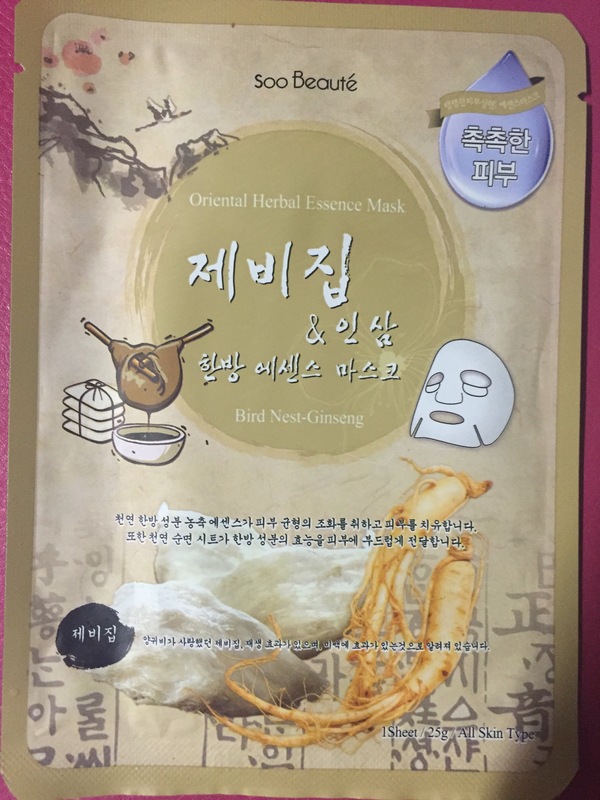 Overall, I’m quite happy with the masks so far in this particular line and the fact that it has ginseng makes it even more amazing as I know my skin has received quite a bit of nourishment. I hope I can find this in some Asian stores in Australia, fingers crossed!